Provide comfort for the family of Marilyn DeTraglia with a meaningful gesture of sympathy. 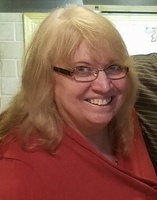 Marilyn Emily Ebe DeTraglia passed away surrounded by her loving family on Monday, March 18, 2019. Born on March 27, 1947 in Hackensack, New Jersey, she was the daughter of the late Raymond Ebe and Vivian Holscher. She graduated from Roy C. Ketcham High School in 1965. She received her Bachelor’s Degree in Teaching from SUNY New Paltz and two Masters Degrees - in Education from SUNY New Paltz and Speech and Hearing Therapy from the College of St. Rose. She worked as a child care worker, speech and hearing therapist and Team Leader at Wassaic Developmental Center from 1968 to 1992. From 2001 until her retirement in 2003, she worked as a speech therapist for Dutchess BOCES. On February 19, 1977, she married her best friend and love of her life, Clark DeTraglia, who survives at home. She is also survived by her daughters: Erica DeTraglia (Douglas Ford); Alicia Nace (Kyle) and Adrienne DeTraglia (Christopher Lena). Her beloved granddaughters: Amelia and Cora. Her sister, Susan Abolafia (Allan); nephews (Daniel, Aaron and Michael), and many friends who were loved as family. She was active in her community. She volunteered as a Girl Scout leader, on the Executive Board of LaGrange Elementary and Overlook Elementary PTA, Union Vale Community Day Committee, Co-Chaired setting up the reading room at Tymor Park, Co-Chaired Scholastic Book Fair for DC Boces and many more local and political committees over the years. She enjoyed her time at the Prayer Shawl knitting club at St. Kateri Church. Calling hours will be held at McHoul Funeral Home, Inc., 895 Route 82, Hopewell Junction, New York on Saturday, March 23, 2019 from 10:00am to 2:00pm with a service to follow. Consider providing a gift of comfort for the family of Marilyn DeTraglia by sending flowers.